Certified diamonds include CanadaMark™, Riente® , and Lab Grown Diamonds, and come with 1 year of loss protection, and can traded-up in the future. Bridal Jewelry -engagement rings (solitaire, halo, vintage, etc. ), wedding rings/bands (for men and women), as well as anniversary bands, guards, wraps, and more. Gemstones - certified natural stones and lab grown synthetic stones available. 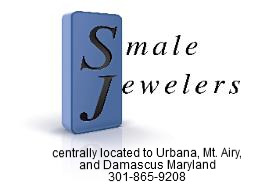 Pendants and Necklaces in a variety of styles including diamond and gemstone fashion, religious, personalized, and more. Earrings include hoops, studs, and earring jackets, with or without diamonds and gemstones. Rings - one-, two-, and three-stone rings, colored fashion rings, pearls, and more.